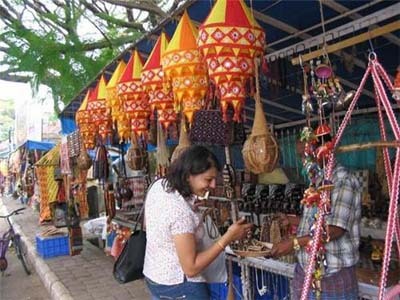 There are many different handicraft tours available in India, ranging from short half day tours to extended tours with a specific focus on handicrafts. Some tours stick to one region, while other tours cover multiple regions. Some tours include workshops as well. 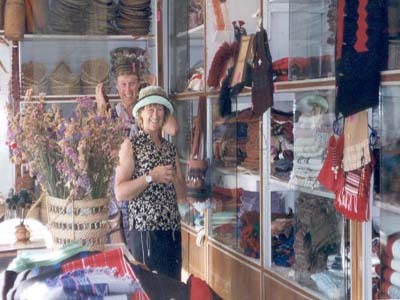 It's even possible to go on a handicraft buyer's tour, for those who are interested in importing fair trade items. 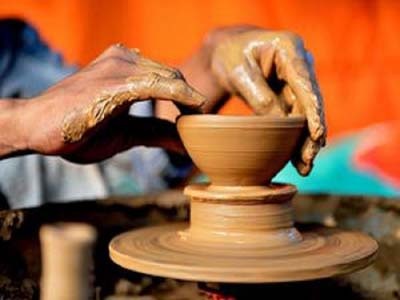 Take a look at these 10 top Indian handcraft tours to get an idea of what's possible. What's heartening to see are organizations working with artisans in India, to help them find new opportunities and outlets for selling what they make. 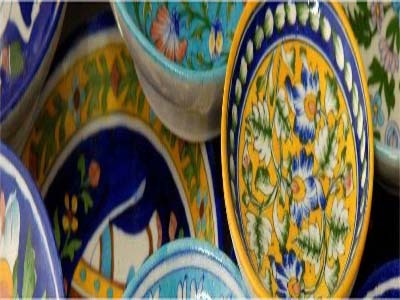 Delhi-based Indomania Cultural Tours in association with South Asia Foundation (a non-profit organization that works to uplift the poor, particularly in the crafts sector) runs an insightful half day tour to a pottery village in the outskirts of Delhi. As well as being able to observe the pottery process and try your hand at the potter's wheel, you'll be able to interact with the potters and find out about their traditions and how pottery is related to Indian culture. There's a shop where your can purchase souvenirs made by the potters as well. Part of the tour proceeds are placed in a Village Development Fund for the benefit of the overall village community. Wanderlust along with Beeja Trust (which works with communities to revive lost crafts and skills), also runs a trip to Pilkhuwa in Ghaziabad near Delhi. This small town is famous for textiles, especially bed sheets. Plenty of other crafts are carried out there as well, such as wooden block carving, bamboo craft, paper mache, wood inlay, and needle work. You'll get to see what's involved in making a bed sheet from start to finish, including weaving, dying, washing, and retail. In addition, a mini workshop on a craft of your choice will be conducted on the tour. The options are tie dye, block printing, or wood inlay. 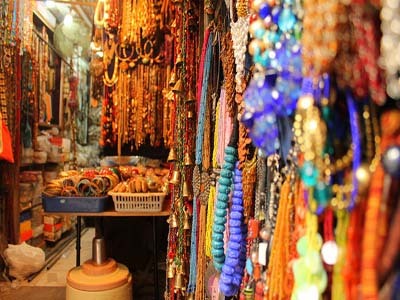 The "Pink City" of Jaipur in Rajasthan is well known for its handicrafts. Virasat Experiences, a community tourism initiative based in Jaipur, organizes workshops on block printing, blue pottery, enamel jewelry, and miniature painting. They also conduct heritage walking tours whereby you can observe local artisans, such as silversmiths and bangle makers, at work. Fascinating! Another option is this in depth four day textile trail in Jaipur, including a visit to the famed Anokhi Museum of Hand Printing, from Breakaway. The Kutch region of Gujarat is full of vibrant handicrafts, predominantly textiles but also woodcarving, cast silver work, lacquer work, and pottery. 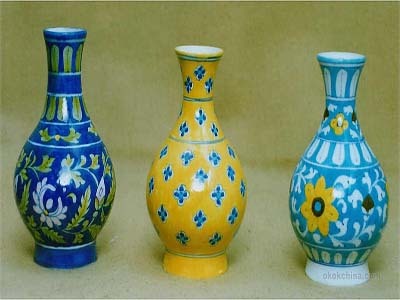 Mumbai-based Matsya Crafts offers customized craft tours to various villages in Kutch. They're working to revive rural arts and crafts, and are involved with nearly 2,000 women across 112 villages there. 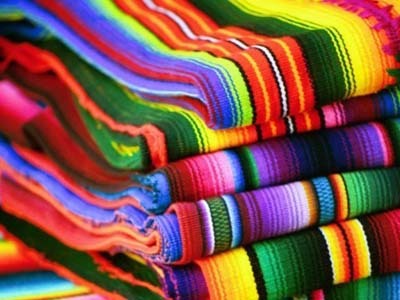 Breakaway offers a 5 day textile trail through Kutch and Ahmedabad. In addition, Kutch Adventures India connects travelers with skilled artisans in the region as well as non-government organizations that promote and preserve the arts and crafts of Kutch. Breakaway, in conjunction with R&A Designs (facilitator Renuka has lived and worked with craftspeople in Kashmir for a decade), runs a four day trip in and around Srinagar that promises unique and personal interactions with artisans as well as an experience of the region's culture and architecture. The trip includes a guided heritage walk through the Old City and a traditional and a traditional Wazwan feast. Tamil Nadu is renowned for its silk and cotton weaves, especially saris. This comprehensive four day Breakaway tour starts in Chennai, with a look Kalamkari textiles and handloom weaving. The tour continues on to Kanchipuram (also known as Kanchivaram), Pondicherry, Auroville and the hand painted silk and organic khadi design studios, the Tanjore temple en-route to Karaikudi where Kandanghi saris are woven, and Gandhigram where there's a Khadi spinning and weaving center set up by Gandhi. It concludes in Madurai, where you'll be able to explore local markets and see Chungadi saris, originally made using a tie dye technique brought from Saurashtra in Kutch. 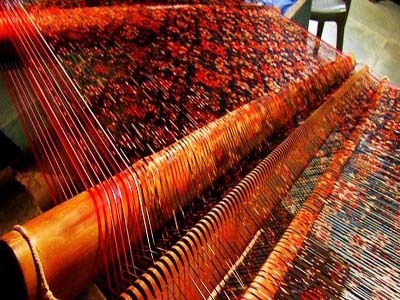 Another Breakaway tour (if you haven't already guessed, Breakaway specializes in arts and crafts tours in India), this one concentrates on the textile communities in Maheshwar (famous for Maheshwari saris) and Bagh in Madhya Pradesh. You'll also get to explore historic Mandu. Highlights of the trip include a visit to WomenWeave, a trust dedicated to improving the livelihoods of rural women weavers. You'll be able to try your hand at the loom and participate in a workshop facilitated by the trust. In Bagh, you'll learn about traditional block printing and get to observe the techniques, including dying, printing, washing, and block making. You'll be able to participate in the printing process as well. 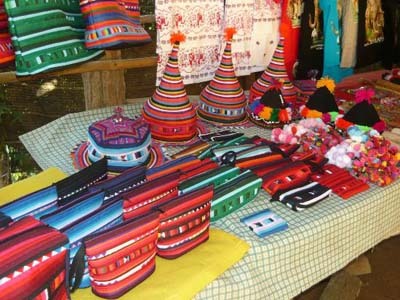 Crafts and Textiles Tours include destinations all over India, such as Kolkata and West Bengal, Orissa, Gujarat, Kashmir, Madhya Pradesh, Assam, Jharkhand, and Chattisgarh. 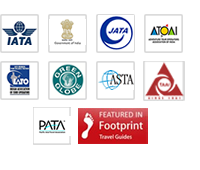 We will come up with the perfect itinerary based on your needs and interests. 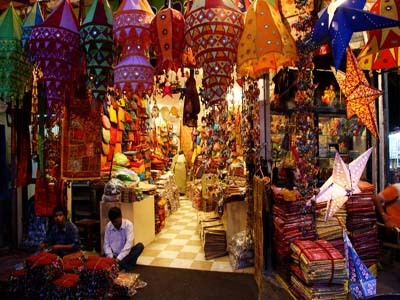 Interested in buying and exporting Indian handicrafts? Women's travel expert Ms. Verma provides a specialized buyer's tour for individuals or small groups of two to four people. We offer a consultancy and tour service, whereby they will conduct research based on your requirements, communicate with fair trade groups and non-government organizations, screen products and schedule meetings, help prepare contracts, arrange accommodations and transport, and accompany you on your trip. Poonam, who has sourced many products across India for her women's empowerment project, will be your guide.